⇒Get Your Entrepreneurial Game On! The lifeblood of our network flows from and through our Liaisons. Some are Country Liaisons; some represent Regional Networks; and some represent Program Networks guiding older adults along Pathways to positive ageing. They are the live sparks we’ve discovered around the world. We all meet virtually at quarterly global teleconferences. Peter Hansen with Dana Steinova, Secretary General of EURAG and Pass It On Netwoork liaison for the Czech Republic, at the EURAG council meeting in Darlow, Poland. Peter Hansen, our new liaison from Denmark, represents the Danish Seniors in EURAG. He works for the Danish Institute for Parties and Democracy that falls under the Danish Foreign Ministry. He is involved primarily in hosting guests from Nepal and Bhutan and in teaching democracy on a local level. Peter traveled the world as a young man with one of Denmark’s leading shipping companies, and has maintained an active interest in international affairs ever since. After sailing the seas, he decided to qualify as a school teacher, spending 25 years in public schools and 17 years at the Niels Brock Business College where he taught project management, counseled students, chaired the environmental issues group, and acted as spokesman for the teachers. He retired from formal work in 2012 and continues with his community work as a long-standing municipal counselor with 32 years of service, during which he has served as chairman of the Social committee. After 25 years with IBM, Tom retired as Systems Engineer in 1990 and taught website design and setup at Warwickshire College and University of Coventry. Since then he has been active as a ‘community worker’ making fund-raising videos and setting up websites for charities in the UK and in India. He became so engrossed in his work in India that for the past 16 years he lived in Hyderabad much of the year where he worked for several charities making fund-raising films and websites. His main energies went into converting a community centre into a community free-school in an impoverished community of Dalits and landless families. You can read more at his website holloways.org. 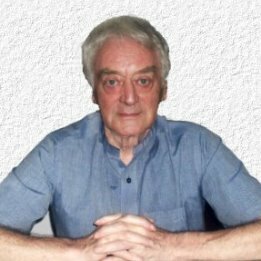 He is Editor of U3A Signpost (UK), now online, and is Secretary/General and webmonger of the WorldU3A Online Service http://worldu3a.org and many other charity websites. He has helped to put more than 50 local U3A Groups onto the World-Wide-Web. He offers telephone assistance with setting up a ‘wiki‘ or a website for other local groups. 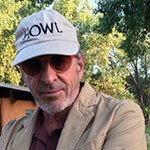 He can be reached on SKYPE as tomathollowaysorg and at tom@worldu3a.org. Active Ageing Consortium for Asia ACAP. facebook.com/Active-Ageing-Consortium-in-Asia-Pacific-ACAP-388621244638075/ ACAP includes associations from 11 countries in this region which has the highest rate of ageing worldwide. Founded by Professor Take Ogawa 10 years ago, it is a vital hub of exchange for research and best practices in the field. A regular newletter is published and distributed free to anyone from the Pass It On Network. Cullen Hayashida from Hawaii, a member of ACAP’s steering committee, is our Pass It On liaison from ACAP. A number of ACAP participants will attend the IAGG (International Association for Gerontology and Geriatrics) Conference that is being held in San Francisco late July. Cullen will convene two workshops at the IAGG Conference. The European Federation for Older Persons, EURAG. www.eurag-europe.net comprises representatives from associations in 32 countries in Europe and meets twice a year. Dana Steinova, secretary generation of EURAG, is Pass It On Network’s liaison. The June 2017 meeting was in Darlow, on the Baltic Sea in the north of Poland. See the brief report in a following section from Pass It On’s Co-founder, Moira Allan, who attended. The next meeting will be in Vienna at the end of September. Wiser Together – wiser-together.com. Using World Cafes to bring generations together. Generations United – gu.org. Encouraging intergenerational programs. A coalition of encore leaders and organizations providing resources, visibility and connections – strengthening members’ work to turn longer lives into an asset. “We view the world’s rapidly ageing population as an opportunity – an experience dividend for solving significant social problems. Our members work on the ground to make this vision a reality for more people in more places. We are connecting around shared interests while also pursuing our individual missions, creating win-wins through collaboration, leveraging local ideas globally and global ideas locally, and teaching/learning. Pass It On’s membership means we can invite all of you to participate in the regular network seminars and events. Encore’s affiliation with the Pass It On Network has already generated Encore South Africa, thanks to our Country Liaison, Lynda Smith. The link to our Kiosk can be found in the Pass It On Network menu as a subheading under “NEWS”. In the Kiosk, you will find links to the current issues of newsletters published by Pass It On’s partner organizations and networks. After you’ve had a chance to look through them, let us know if there is another innovative organization focused on supporting positive, active ageing that publishes a newsletter that would interest our global advocacy leaders. Please contact us here if you would like your newsletter added to our Kiosk. 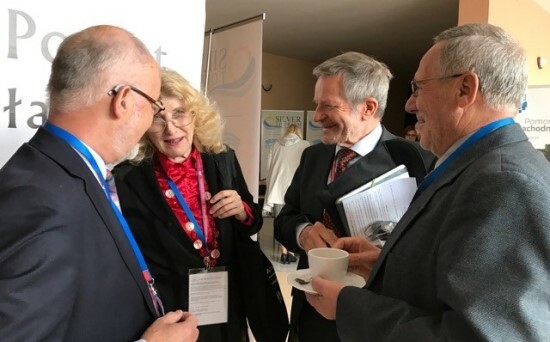 We are living in exciting times and seeing changes stimulated by the advocacy leadership of many lucid and dedicated policy makers around the world who have gotten the message and are shaping environments to meet today’s changing demographics in our rapidly ageing society. As a member of the EURAG Council, Pass It On’s International Coordinator, Moira Allan, drove 2 ½ hours north from the brand new Gdansk Airport to Darlow on the Baltic Coast where EURAG held its bi-annual council meeting in May in conjunction with Poland’s first international conference devoted entirely to tbe issue of demographic change in the context of tourism development. The European Union recognizes the huge potential of the “silver market” and places high priority on developing “age friendly tourism,” particularly during medium and low seasons. Many European states have moved in this direction and Poland is trying to follow their example. One of the items on the EURAG council meeting agenda was the preparation of the 55th anniversary events for the Federation of Older Persons that will be celebrated in Vienna in October along with the United Nations’ celebration of the International Day of Seniors. Grazyna Busse and Sonya Joulic, Poland. Pass It On’s Co-Founder, Moira Allan, flew to Dublin to take part in the launch of the Freebird Club. The Club is organizing a global network of travel accommodations hosted by older adults for older adults who are interested in getting to know people like themselves across international borders. The program generates some income for the hosts, inexpensive travel for the member visitors, and often lasting friendships between hosts and visitors. The Communications Director for the Freebird Club, Marie Carroll, is Pass It On’s Country Liaison for Ireland in addition to representing the Freebird Club. Think of it as an AirBnB for older adults. If you are interested either in hosting or in visiting….. check out the Freebird Club website, www.thefreebirdclub.com. You can also see the global cycling challenge they are sponsoring at https://gogodermo.com. Founder of Boomers and Beyond SIG and Revolutionize Your Retirement Interview with Experts Series celebrates her 10th Anniversary! Changing the Face of Ageing. 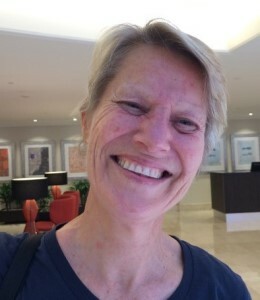 Dori Mintzer (dorian@DorianMintzer.com) can be congratulated for her originality, perserverance and wonderful contribution to changing the face of ageing. 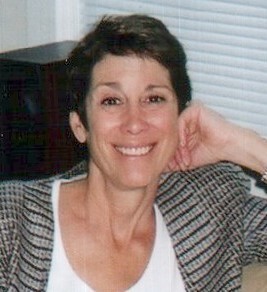 Ten years ago – in May 2007 to be exact – she launched her Boomers and Beyond SIG(Special Interest Group) from her home/office in Boston in the U.S. The Pass It On Network features access to her phone and webinar programs as a low/no cost, highly replicable process. Dori explains, “A SIG can be easily organized. All you need, bottom line, is a Free Conference Call line that records. You can record the call and make the recording number available to listeners. I made my life a little more complicated when I began the 4th Tuesday interview series. I initially recorded the interviews on tape cassettes, and then shifted to Audioacrobat and then eventually shifted to the platform Instant Teleseminar.com. It’s easier if you can get everyone to join a group so you just have to set up the announcements and then record information for each SIG from cassette to audio files. Read more. Relax, take time out, enjoy a different pace and not having to do anything – Remember that this is what you wanted when you were constantly stressed. It’s strongly recommended that you don’t immediately rush into other commitments or hectic schedules when you leave the workplace. Slow down… Reflect on your life… Listen to the quiet voice that has been growing inside, and which you’ve ignored. Holidays with trips abroad are often tiring… you’re constantly on the move, seeing new sites. When you stay in one place, particularly in a beautiful environment, you recharge your batteries and unwind fully. The perfect, very affordable ’Retreat’ experience … in an environment that suits you … the ocean, the forest, the mountains etc. Alone time in nature. You’re in an unfamiliar environment … so you can practice adaptability, flexibility, coping with change and uncertainty … but in moderation, so it’s not too exhausting or overwhelming. You probably don’t know anyone – going far away from familiar territory is immensely liberating – no one has expectations of you behaving in a certain way. This is a great opportunity to think about and begin being a NEW you. We are renegotiating our identity at this time of life because our roles are changing, our appearance is changing, our thinking is changing …about what success is, what our priorities are, what we want to do that aligns with different, perhaps previously unexpressed values. Being in a new environment, away from people you know, not moving around constantly, is the perfect time for thinking about all these changes in you and your life. 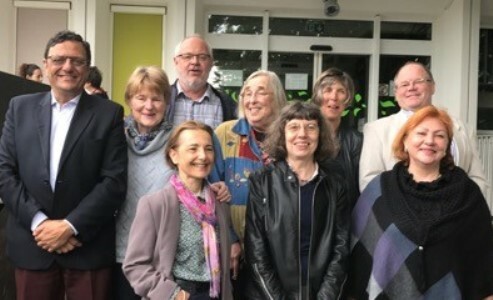 You can meet new people … neighbours, or locals if you join a walking group, a U3A, or other local interest groups…get out of your comfort zone….be friendly…make the first move…be open and share who you are …to create close relationships. This could be the opportunity to start something new … to paint, write, take up a musical instrument be creative in some way or to undertake a MOOC. Here you have the luxury of TIME. Also, learning new things is great stimulation for our brain …very necessary at this time of life. If you are a solo, you’re safe …In a home environment and comfortable, usually with an animal for companionship. For further safety introduce yourself to your neighbours …. bake something or take fruit, veggies, eggs, flowers (if they’re a feature of your new environment). Get involved locally … find out what goes on in the community. Learn how to make the most of long expanses of time …. construe this time as an experiment in creating your life …. there are none of the usual constraints of people type-casting you nor obligations. Have fun…try things out …this is your one, wild precious life!!! If you’re thinking of downsizing or relocating this is a great way to experience different places before you make a decision. Pay your 3-month, 6-month, 1-year membership fee. House-sitters pay for the service and homeowners do not, generally. You do not get paid for your sitting …and neither do you pay any of the house-expenses. You may want to clarify this however … some house-owners want you to pay electricity! If you’re not prepared to do this, decline the sit. Create your profile. Write one that appeals to the house-owner i.e put yourself in their shoes.. they’re probably quite nervous leaving their house and treasured pet with an unknown person, so reassure them. Also state your age and your interests, hobbies … what you might do if you’re in their environment. Do this to reassure them that you’re responsible and will undertake your duties with great care. Be friendly and positive…with some energy about you! Post a good smiling photo of you …full length shot preferably. Obtain a minimum of 3 references (short rather than long, but to the point) from people you’ve already sat for, or an employer or a community person in a service group you belong to etc. Often the house sitting company has a template they send your referees and you just supply their email addresses. Most sites enable you to set ‘alerts’ i.e the location you’d like to sit in, the amenities you’d like, the responsibilities you’re happy to have, your preferred length of sit and most importantly the time frame (dates) you’re available!. This means that when a sit is posted that meets your criteria you will be notified. Respond immediately if you would like the sit. The competition is fierce, usually … the owners will be deluged by applicants so you want to be at the top of the pile. READ carefully what they say and attune your response accordingly..eg name their animals! Reveal some of your personality in a low key way …. make positive comments about their location. Be positive and friendly. Some house-owners will look through profiles and offer sits….being an older, single, female or an older, active couple is an advantage!! Respond immediately… to either decline the sit if it doesn’t fit or to express your interest… and to ask for more details! Apply for more than 1 sit at a time because you may not be offered the sit. If you are not successful you will be notified …always reply, thanking them for letting you know and saying how disappointed you are (specify the reason) because frequently house-sitters have to reneg … illness, unexpected mishap etc etc . You want to be next in line to be offered the sit! Wish them happy travels. Offer to ‘Skype’ in your response …so you can ‘meet’ the owners/they meet you …. or if you are not far away or you’re going to be in the vicinity …suggest a time to pop in and meet face to face. Occasionally you’ll find a house isn’t what you’d like for various reasons. Its fine to decline the sit after seeing it as long as you give them a minimum of 4 weeks to find another sitter and you decline with grace and respect. Wish them well with their travels. Its not always possible to have your sits dove-tail neatly, so having a sibling or special friend as a stop-gap is essential! * European Region Action Scheme for the Mobility of University Students, named after the Dutch philosopher Desiderius Erasmus of Rotterdam, known as an opponent of dogmatism, who lived and worked in many places in Europe to expand his knowledge and gain new insights. (front row l to r) Andrée Méthol, France; Nadya Bochesa and Petya Nedkova, both from Bulgaria. Edith Leroy (left), from France, presents her project for a collaborative housing complex with great conviction. Each one had a turn to present their project. Moira Allan’s was to create a network of Change Brokers within the Pass It On Network. AGE Platform Europe is a European network of non-profit organizations focused on the interests of people ages 50+, which aims promotes the interests of the 190 million older adults in the European Union and raises awareness about the issues that concern them most. 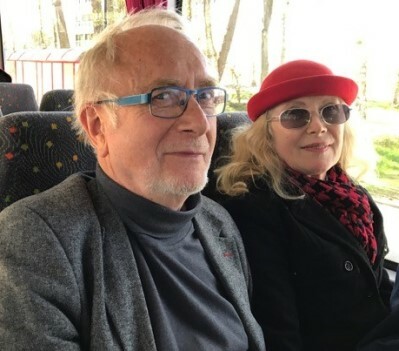 Pass It On Network’s International Coordinator, Moira Allan, is also a member of the avant garde French association, Old’Up, contributors to the Age Platform’s long-range planning task force. So-called “Strategy 6” was recommended by the planning group and approved by AGE Platform as its Strategy Plan for 2018-2021 at the annual meeting held in Brussels June 2017. 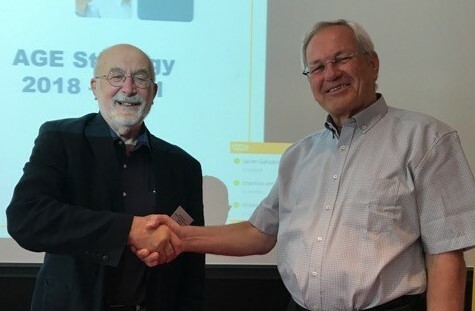 Ebbe Johansen (right), Vice Chairman of DaneAge (800,000 members and 18,000 volunteers), was voted in as the new President of Age Platform. He is welcomed by out-going President Marjan Sedmak, of Slovenia. The Preamble to the plan recalls that in the past decade, political and economic landscapes have changed radically in Europe and around the globe. The persistent economic and social crisis is combined with the demographic pressure of ageing baby-boomers, the migration and refugee crisis, the growing fear of terrorist attacks, and the shock of the Brexit referendum. All lead to a growing feeling that the EU needs to reconsider its objectives, organization and processes. « As members of the older generation, we have a duty to defend our shared values and the European dream that our parents and we built together ». The key objectives for the four-year period are to promote older people’s human rights, monitor and positively impact EU socio-economic policies, promote age-friendly environments and foster improved awareness and knowledge of older people’s rights. Visit Friends of the Earth Europe to learn more. This seminar treated economic, housing, health outcomes, government policy, technology innovation, and investment factors key to one central fact: that in the US, nearly 20% the population will be over 65 by 2030. Elsewhere in the world, the numbers are already much higher with Japan way ahead at 26%. Dr Cullen Hayashida, eldercare professional and the Pass It On Liaison in Hawaii, contributed this overview of the seminar from Telehealth & Telecare: http://telecareaware.com/successful-aging-2030-how-far-we-havent-come-how-far-we-have-to-go/ He sees it as a good assessment of the tech and ageing industry’s perspective. All too often, he says, gerontology is the study of the old by the young, and is too top down. The active/positive ageing movement that is still in its nascent stage seems more like a counterculture movement, outside of academia and industry, and driven by older adults! Armoogum Parsuramen, the Founder and President of Global Rainbow Foundation and members of Global Rainbow Foundation, and Pass It On’s liaison for Mauritius, continues to break new ground in his island state – two years ago he introduced a now-flourishing U3A and in June 2017 he organized Mauritius’ first Memory Training course with Dana Steinova, head of the EURAG Memory Training Center, and Pass It On’s liaison for the Czech Republic. View First Memory Training article. Dana travels the world training trainers to spread confidence and self-empowerment among people of all ages by teaching them mnemonics, techniques for improvement of spacial orientation and very interesting and stimulating exercises for the less dominant hemisphere of brain. Pass It On Network Liaisons have helped organize the training in Estonia, India, US, Mauritius and Malta. Further to her training in Estonia in 2014, Riina Enke reports that they have taught 18 memory trainers in Finland and 21 in Lithuania. They’re busy preparing handbooks for memory trainers in 4 languages – Estonian, Finnish, Lithuanian and Russian. Armoogum Parsuramen (aka Parsu) organized Mauritius’ first memory training course in June at the University of Mauritius. This follows his very successful introduction of U3A in Mauritius just two years ago. Dana Steinova trains memory trainers around the world and works closely with Pass It On Network liaisons to spread her work. In September 2018 Dana will travel to Malta to run a course with the United Nations International Institute on Ageing. Ilango Ponnuswami organized Dana’s first course in India at the Bharathidasan University, Tiruchirappalli, South India in 2016; a second is planned for 2019. Iin the meantime a cultural exchange between India and the Czech Republic is planned for 2018. Riina Enke, Estonia, trained with Dana at the Tallinn University in 2014 and has been working since with Estonia NGO65 of the OLMES (Old Memory Shakes) project financed by Nordplus to support adult learning in the Nordic and Baltic countries. 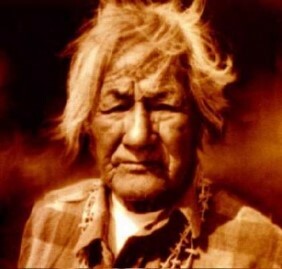 Seventy from Robert Belinoff on Vimeo. The BeeHome website matches ageing homeowners with tenants who want to put in a few hours a week doing household chores in exchange for a more affordable rent. Dreamed up by a team from UC Berkeley, the platform helps owners price chores, runs background checks and checks in monthly to make sure everything’s going smoothly. The result: Older people with extra space can use their homes as an income source and get some help. Plus of course, intergenerational social relationships are likely to come out of it, too. (Here’s a video about BeeHome.) 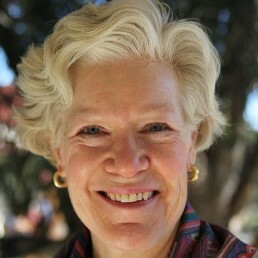 Seen as article: Stanford design for all ages (from Senior Planet). Similar programs are blossoming around the world — in France, for example. Ensemble 2 Génerations provides lodging, service and friendship and has a few tiers of service: free lodging with predetermined services; free time during the day; return around dinner time; low cost lodging with light obligations; sharing household jobs; presence, services and lodging paid at economic market values; presence and exchange of certain services. 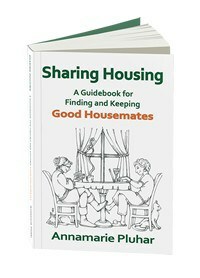 A comprehensive guide for finding and keeping good housemates has been published by Annamarie Pluhar, who has experienced home sharing in New England for over 20 years both as a home owner and a home seeker. Her blog, www.sharinghousing.com, contains additional tools and discussing options for home sharers everywhere. WHO launched the Age Friendly Cities initiative in 2005. As its process of community planning spread around the world, a new need for cross communication and learning was met by creating the Global Network of Age-Friendly Cities (GNAFC) in 2010. In June, Paris became the 500th city to join GNAFC. Today, 500 cities, 12 affiliated partners, and 155 million people in 37 countries are working concertedly toward developing a supportive environment for positive ageing for all ages. 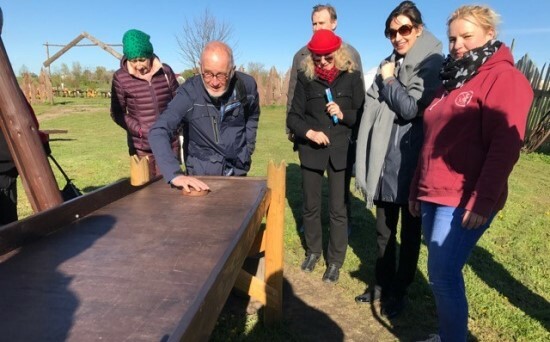 If you are interested in seeing more about how cities around the world are engaging older adult residents in developing Age Friendly Communities, we’ve created a gallery of initiatives describing activities in Western Australia, Seoul Korea, Buenos Aires Argentina, Yarmouth Cape Cod USA, Volvograd Russia, and Clarence Australia. The State of Western Australia became the first of Australia’s 6 states to join GNAFCC. Although it occupies the entire western third of the country it is sparsely populated with 11% of the national population of which 75% is concentrated in Perth, the capital. Other major cities fully involved are Melville, Rockingham and Fremantle. 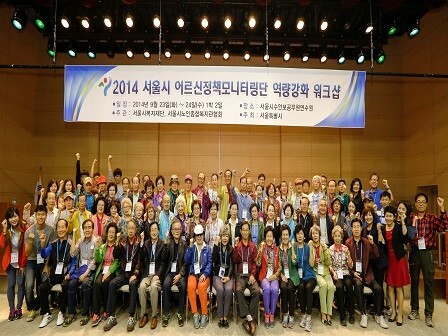 Seoul City values senior citizens’ direct participation in policy decisions. To this end, Senior Policy Monitoring Groups composed of 50 people aged 60+ chosen from across Seoul are planned and managed by the Seoul Welfare Foundation. The members are responsible for discovering examples of Seoul City’s age-friendly policies and achievements from a senior citizens’ point of view, and for promoting Seoul as an age-friendly city. To that end, they investigate, as a group or individually, activities, and share their results. The final stage is to submit appropriate policy proposals for senior citizens to Seoul City. CreandoRED works to foster collective commitment to promote older adults civic rights access, social inclusion and active participation of older adults in cultural projects. It was initiated in 2015 by the Fundación Navarro Viola and the method is one of the oldest in the word – regular three-hour meetings combining theoretical/practical approach and including showcasing best practices, conferences by specialists and active networking sessions among partners. Main goals are to improve the quality of life, autonomy, citizen participation of older people through cultural democratization and to raise awareness on new perspectives of ageing. 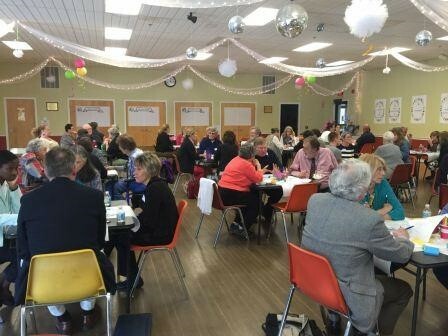 The World Café Toolkit was very successful in digging deep into the wisdom of a focus group for the Age-Friendly Community findings report. Three questions stimulated the interaction. (1) What do you love about Yarmouth that you want to be sure to preserve? (2) What one improvement would you like to see that would benefit (a) youngers? (b) elders? (3) What concrete opportunities could you imagine for working together to make sure that Yarmouth is a community that honors and nurtures everyone who lives here? The invitees were a mixed group from the Chamber of Commerce, Municipality, Non-Profits, Regional agencies and citizens of all ages. In Volgograd a “Kinder World” offers four wonderful opportunities for interaction between orphaned children of pre-school and school age and seniors. “Gifted with Creativity” activities are those where the elders pass on their skills – cooking, sewing, knitting, drawing … “Charity” is where elders become the patron of an orphan, “Mentorship” is where elders share stories of success to encourage the children and “Precious Moments” is a time when elders pass on memories of the historic events they have experienced. The main goals of “Kinder World” are to provide older people opportunities for intergenerational socialization and personal fulfilment, and to contribute to their community. In Clarence a very lucid project called aWake Before Death (ABD) engages people of all ages in the promotion and education of end-of-life planning. Different methods are used including stories, music and the arts, to help build knowledge, awareness and capacity across the community in a sustainable way. ABD grew out of a collaborative partnership process between the City Council’s Positive Ageing Network (PAN) for service providers, the Clarence Positive Ageing Advisory Committee (CPAAC), and the Clarence Community Volunteer Service; Fairway Rise Retirement Living Village; Salutations – Music Therapy; Community Conversations; and the Warrane Mornington Neighbourhood Centre (WMNC). 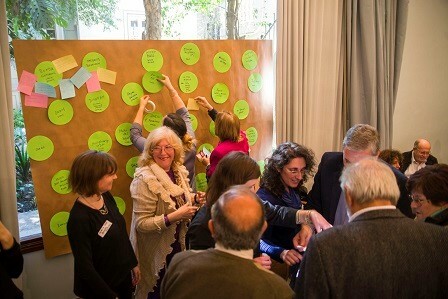 AGE Platform Europe is working collaboratively to promote age-friendly environments at the EU level and to get communities across the Union to sign the Covenant of Mayors on Demographic Change that seeks to create the political framework to bring together local and regional authorities across the EU and to support active and healthy ageing and develop age-friendly environments. They run a very lively and resourceful site at www.agefriendlyeurope.org where you can download, for example: Guidelines for co-producing age friendly environment with older people. Get Your Entrepreneurial Game On! Here is sound advice from Carleen Mackay, renowned thought leader on the changing job market: “The old world of “jobs” is giving way to exciting new entrepreneurial ways to work, many of which you may never have imagined! The future belongs to the curious, the brave, and the forward thinking. Do you have the timing, focus and the ability to get things done? Then, create your destiny by aligning with emerging market-driven opportunities.” Follow Carleen’s step-by-step advice here. 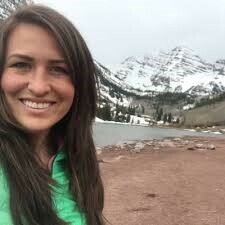 The founder of Connect The Ages, Amanda Cavaleri is a millennial granddaughter and gerontology entrepreneur who believes that younger generations have a great deal to benefit from in the wisdom and life experiences of older generations. She’s on a mission to connect 5 million students and young professionals to multidisciplinary career, internship and volunteer opportunities working with older generations by 2025. Amanda is driven by a vision of an America that values and enables opportunities for young and old alike. 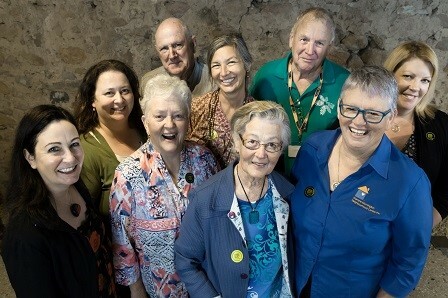 The goal of Connect The Ages is to build awareness about careers in ageing, connect to students in the classroom, build opportunities to engage with older people, and ultimately, connect young people to careers in ageing. Students around the world who are learning the Russian language can improve their language skills by chatting online with older adult pensioners in Moscow via Skype. Students and graduates from the National Research University Higher School of Economics in Moscow where Gulnara Minnegaleeva, Pass It On Network’s Russian liaison, teaches, came up with the idea as part of a competition for socially important projects. They were inspired by a similar initiative in Brazil in 2011. So far, 15 international students have applied online to be paired with an older adult Skype pal. Organizers hope to double that number by the end of the year. Gulnara reports that retirees will be keen to sign up. Retirement does not mean that life comes to an end. On the contrary, it is a time to communicate, learn something new, and travel, even if it is only virtually!